At the age of 20, Eden Full is a successful and rising entrepreneur. 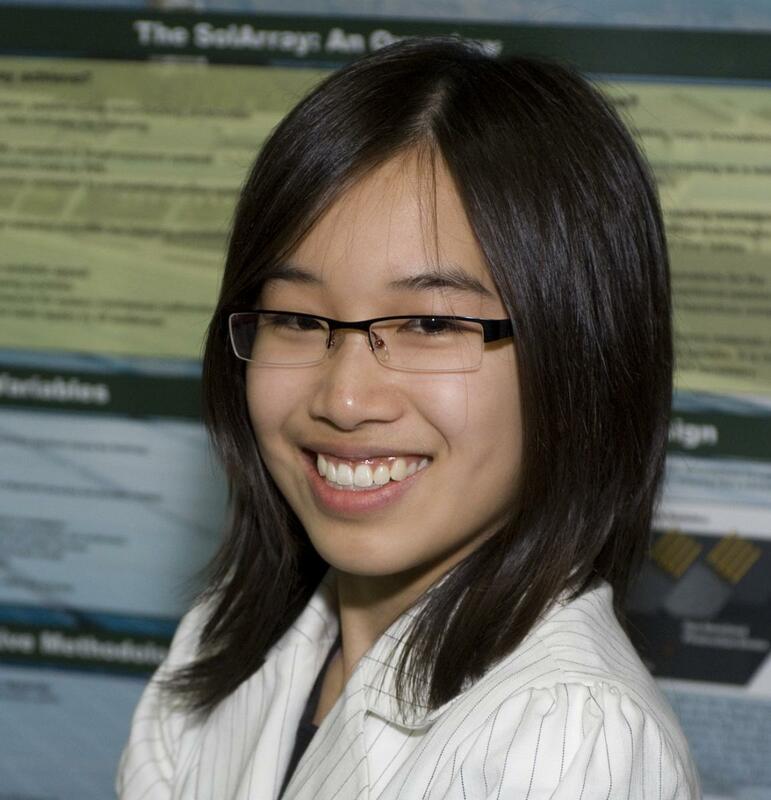 While studying at Princeton University, Eden created the SunSaluter, a rotater that allows solar panels to track the sun’s movements without using electricity. Eden explains her invention “senses changes in temperature using biometallic strips. Biometallic strips are found in your thermostat and are really sensitive to subtle temperature changes. I can connect these strips to the axle of the solar panel and they will rotate and control its location at any point in time. This system mimics the accuracy you would get from a motor without a motor’s complexities.” The young entrepreneur compares her invention with “a sunflower that follows the sun from east to west throughout the day.” The SunSaluter is cheap, because it is built from locally-sourced and recyclable materials rather than electronic components. It is also simple, given it is easy to assemble and maintain as well as flexible, since it can be installed beneath any existing solar panel with a few minor adjustments. The young entrepreneur built the first SunSaluter prototype for $10 or $20 for one panel. She deployed two prototypes in villages in Kenya with 500 people that didn’t have electricity. Though inexpensive, Eden’s idea could deliver affordable, sustainable electricity to 1.5 billion people around the world who don’t have access to electricity. In 2011, Eden received the Peter Thiel’s 20 Under 20 Fellowship and Scotiabank Ecoliving Student Leadership Award, which allowed her to begin her own business, Roseicollis Technologies Inc. That same year, the SunSaluter won the Mashable/UN Foundation Startups for Social Good Challenge and was runner-up at the Postcode Lottery Green Challenge, making its inventor one of the 30 under 30 in Forbes’ Energy category, and Ashoka’s Youth Social Entrepreneur of the Year. Believing that higher education in America is overvalued, Peter Thiel, who helped create PayPal and was Facebook’s first major investor, has created annual scholarships worth $100,000 for 20 exceptional college-age students to drop out of college and pursue their entrepreneurial ambitions. This is exactly what Eden did after receiving the fellowship. The young entrepreneur moved to Oakland and focused on improving the SunSaluter. She introduced a dripping water filtration system that makes the weight that slowly moves the panel, allowing villagers both more solar power as well as clean water.